Army Family’s Hard Choice: Groceries or Paying Bills? Jesse feels Melissa’s job taking care of the kids is just as critical. When they got married, Melissa had finished college and intended to work to add to the family income. Their priorities changed as their family grew to six, and Melissa started homeschooling instead of perusing a career. Through the years, Jesse’s income alone couldn’t keep up. Eventually, they were way behind on Melissa’s student loan payments. To add to their money problems, they learned their family van required costly repairs at the same time they needed to buy beds for the twins who’d outgrown their toddler beds. They’d have to put the expenses on a credit card. 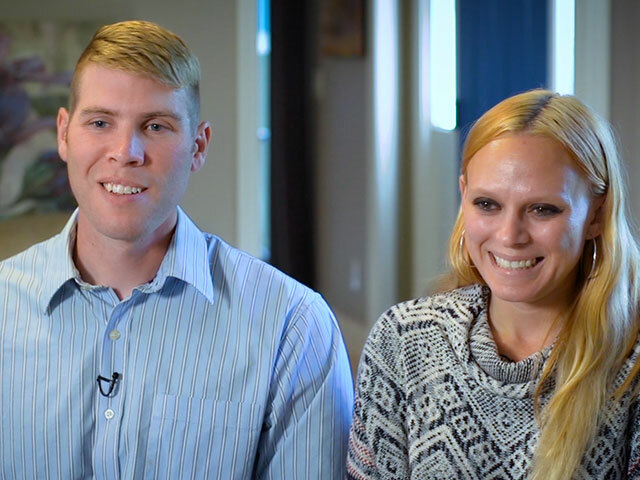 Through it all, the couple trusted that God would take care of them. Their situation took a huge turn when their church, River House, contacted CBN’s Helping the Home Front. Pastor Stacy Long invited the couple over to tell them CBN was going to pay for the van repairs and buy beds for the twins. Pastor Stacy asks, “Do you think the girls will be excited? And there was another surprise. CBN arranged to fix the van, and then took them shopping to pick out beds for the twins. Now that Melissa’s student loans are paid in full, the family can finally get ahead.